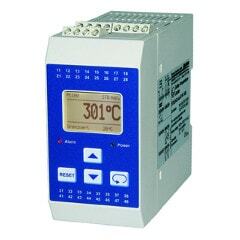 Electronic, bimetallic and capillary thermostats for basic temperature control. Feel free to contact us on 03 9720 4522 or sales@practicalcontrol.com.au to discuss your specific needs. The Temperature-Guard TG50 has inputs for temperature probes RTD (Pt100/Pt1000) and thermocouple J, K, N and S. Simple programming, up to 4 alarm outputs (SPDT) and an available fully-isolated free programmable analog output (0/4..20 mA; 0/2..10 V DC) offer a lot of solutions for temperature monitoring. Peak value indication for minimum and maximum measured temperature are stored in the background and can be read out from the display at any time. The Temperature Guard TG50Ex offers intrinsically safe inputs for direct connection of temperature probes RTD (Pt100,Pt1000) and thermocouples (type J, K, N or S) which are installed in an explosion-endangered area. 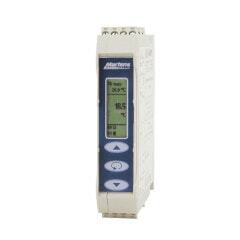 With simple programming, 2 alarm outputs (SPDT) and an optional fully free-programmable isolated analog output (0/4..20 mA; 0/2..10 V DC), the TG50EX offers many solutions for temperature monitoring. The peak value indication for minimum and maximum measured temperature are stored in the background and can be read out from the display at any time. 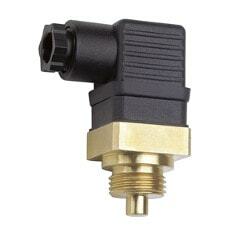 Rugged low cost, compact temperature switch for temperature monitoring and control. The measurement fluid in the sensor of the TR expands as the temperature increases, thus triggering a micro switch via a membrane. The TR is adjustable from the exterior and suited to a range of installation locations. The TB225 safety temperature limiter is used for applications where thermal processes must be monitored and the system must be switched to a safe operating state in the case of a fault. 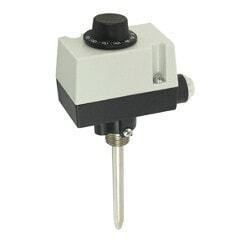 The device has universal inputs for the connection of dual thermocouples, Pt100 sensors, and input signals (0/4..20mA or 0/2..10V), as well as an analog output which can be freely defined within the measuring range of the temperature input. 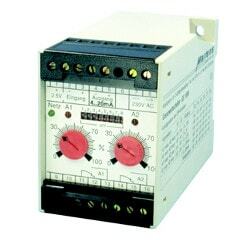 The safety function is provided by means of the main relay with configurable threshold. An additional relay with an independently adjustable threshold is provided for additional signalling. The STL50 safety temperature limiter is used wherever thermal processes must be monitored and the system must be transferred into a safe operational state in case of fault. If the permissible temperature limit value is reached, or if a fault occurs within the permissible temperature range on the monitoring equipment (sensor open, sensor short-circuit, failure of a component part in the device, fault in the software, failure or inadmissible value of the supply voltage etc. ), the STL50 switches off without delay. The STL50EX safety temperature limiter is used wherever thermal processes must be monitored and the system must be transferred into a safe operational state in case of fault. If the permissible temperature limit value is reached, or if a fault occurs within the permissible temperature range on the monitoring equipment (sensor open, sensor short-circuit, failure of a component part in the device, fault in the software, failure or inadmissible value of the supply voltage etc. ), the STL50EX switches off without delay. 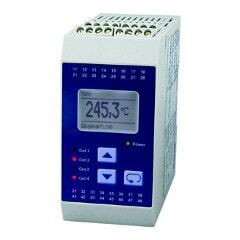 The monitoring device GS1000 can be used for monitoring of temperatures in process and automation systems.